Jeep Comanche MJ Pickup: What If...? The Jeep Comanche pickup came onto the scene in 1986 enduring seven model years until 1992 when Chrysler/Jeep canned its production. 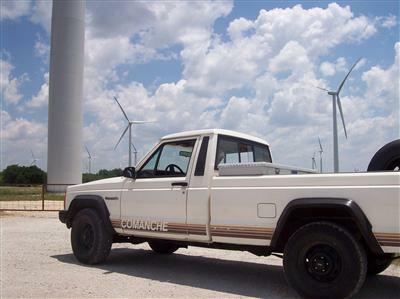 The MJ Comanche was originally introduced by American Motors Corporation (AMC) and carried over by Chrysler Corp. upon Chrysler's buy-out of AMC. 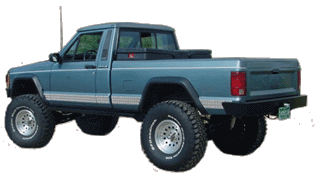 Chrysler did kill the full-sized Jeep trucks AMC produced in the J-10 and J-20 series, but continued with the Comanche. Although built as a 2-wheel drive and 4-wheel drive, the 4x4 truck was, and is the most desirable as a utility vehicle, work truck, foul weather truck and/or fun truck. It also holds its own with off road trucks. Mind you the Comanche is no CJ5, CJ7 or Wrangler, but can be a formidable off road truck under many tough conditions. Chrysler introduced the Dodge Dakota in 1987 which was also in the mid-size to compact pickup category. 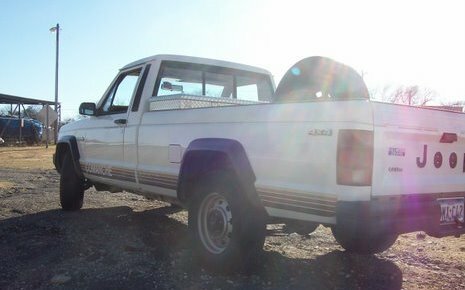 By 1992 the Jeep Comanche was having relatively poor sales when compared to the Dakota and was scrapped more for that reason than any other. 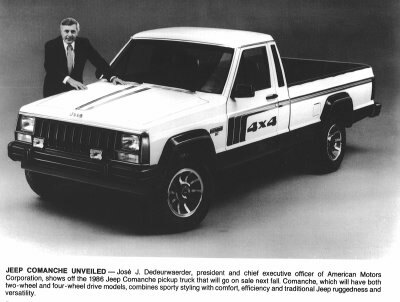 However, what if Chrysler had continued with the Comanche or upgraded to a new Jeep 4x4 truck model instead of letting go of the last Jeep truck? Could or would the marketplace have sustained a Jeep pickup and a Dakota pickup? It is my opinion that the Jeep Comanche pickup with its iconic roots could have fulfilled a strong niche market if Chrysler would have done one thing. 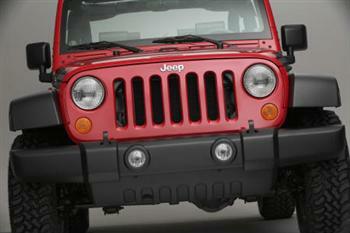 That is to promote the Comanche using the rugged, tough and durable images by which Jeeps have always been known. 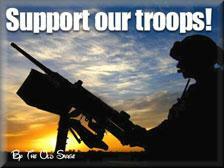 Then target those loyalists who have always been drawn to those images...and by all means DELIVER. Simplifying the electronic/computer and mechanical parts and functions for the do-it-yourself crowd. Many Jeep owners do their own upgrades and repairs...so it would stand to reason that Jeep engineers and designers take this into consideration. Reducing the cost of replacement parts and basic accessories through standardization. Jeep makers could keep costs down (and a whole lot simpler) by using good sturdy parts that would match up with all Jeep models. The now discontinued 4.0L straight six cylinder engine is a good example of successfully using a tough dependable engine for many Jeep models over a long period of time. Also, the Jeep Cherokee XJ and the Jeep Comanche MJ shared many platform and mechanical parts and features...which must have kept manufacturing costs down with the savings passed on to the consumer. Reducing the cost for maintenance and upkeep. Standardization of parts combined with quality materials would be a significant boost here. Being proactive in developing truck models for affordable, economical and safe use. 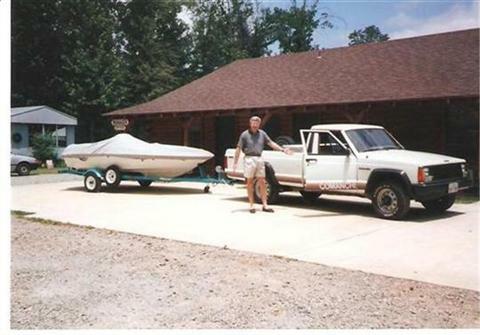 This can certainly be done if those Jeep "Skunkworks" guys in the back rooms and labs would just do it! Am I alone or does this make sense to you? Sorry about the rant, but this has been a concern of mine for a long time. 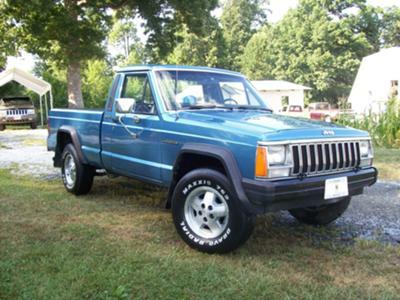 There have been several concept Jeep pickups exhibited since the demise of the Comanche in 1992, which garnered a lot of positive attention if not down-right excitement. The Jeep Gladiator Concept and the Jeep JT are two that whet the appetite of quite a few Jeep pickup fans. Now, let me tell you a little about my pride and joy. I can't explain it, but this old truck is like an old reliable friend. 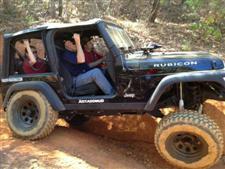 It truly is "A Jeep Thing" is all I can come up with at the moment. This Comanche is more than two and a half decades old and only has 154,000+ miles at this writing. 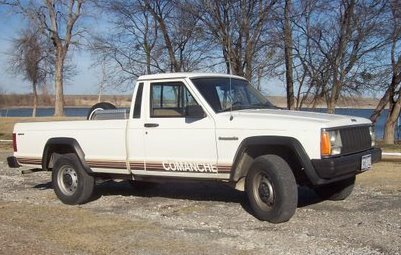 It is a 1987 model with the Comanche stripes and logo on the sides. The truck is unrestored, and completely original. No bells and whistles...just a dependable tough Jeep pickup. It has the 4.0 liter fuel injected six with the 5 speed gearbox...4-wheel drive and the long bed. My Comanche is not pristine and is driven often. As 4x4 trucks go...this is a good one. Hey...this is starting to sound like a sales ad! Well...anyway...at the moment she's not for sale. Kelly's '87 MJ Comanche...click photo for more info! Cherokee XJ and Comanche MJ share most Components...Even Off Road Builds...Find out More! 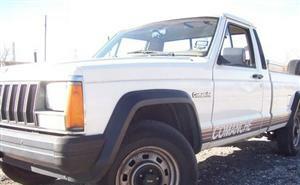 My Old Jeep Comanche vs. a 2004 Jeep Wrangler Rubicon...What? Off Road Jeep Trucks...Keep 'em Don't Crush 'em! Jeep JT Concept Pickup Page! Cheap Jeeps: How and Where to Find Them!